As a nature explorer, traveler, and wildlife enthusiast you may be looking for a new, innovative way to capture photographs of your favorite area or animal. We know that drones are a lot of fun and the technology is providing a new perspective of our world. But as we explore our fascination with this flying robot, we have to question if we are doing so at the expense of the wildlife we adore. For instance in 2015, researchers placed a heart rate monitor on a brown bear and then flew a drone nearby. 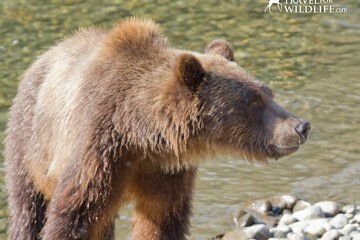 The bear did not exhibit typical avoidance or stress responses such as swatting or running away. In fact the bear simply watched the drone. To the casual observer it may have seemed that the bear was unaffected by the drone’s presence. But when the researchers analyzed the data from the heart monitor, it showed that the bear’s heart rate had increased by 400% during the encounter. This would cause a heart attack in humans. Drones are also known to cause stress to birds, seals, and sea lions. Pinnipeds like seals and sea lions, upon seeing a drone, will often attempt to protect themselves by flushing the beach. This means they rush from the land into the water to escape a predator. To an animal, a drone may appear to be a predator and cause stress. Over time this can cause chronic stress which, similar to humans, can lead to disease and death. 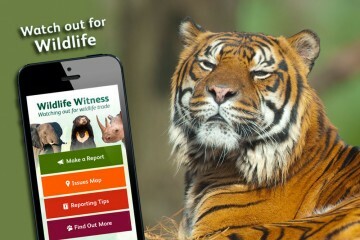 Although the positive impacts of this technology are widely discussed through various social media channels, news outlets, and conferences; we have to take note that we still know little about the negative impacts that drones have on wildlife and humans. The survival of wildlife depends on their ability to utilize resources in their habitat. Today, as the human population expands, we are creating an epic battle between wild spaces and urbanization. One way we can monitor these impacts is with drone or unmanned aerial vehicle (UAV) technology. The adoption of this technology is happening quickly all around the world and in almost every industry including nature tourism. Drones are simply flying robots that are used as tools to learn more about the intersection between wildlife and humans. These robot-tools are changing how we see the world, especially how they benefit conservation management and construction, whether it’s new agricultural farms or large housing subdivisions. The use of drones can greatly increase the efficiency of radio-telemetry in wildlife tracking studies, which use radio signals to track tagged study animals and depend on line-of-sight to properly receive signals. Some of the benefits of drones are also appealing to industries who are focused on the bottomline. Drones are a cost effective way to perform surveys, create maps, and monitor critical habitat areas. In fact they are so simple to use that a person does not need a degree to operate them. Almost anyone can purchase a drone because the price of drones have substantially lowered over the past few years, and they can be found at most tech-based stores and online. Drone businesses are springing up all over the world. And with some countries now creating commercial operator certificates and licenses to fly drones it is beyond simple to integrate the technology into an existing business. There are several factors that may impact wildlife when we fly drones near them or over their heads. The first factor of disturbance is the noise impact. When a drone is flying overhead the first thing we notice is the annoying sound. It takes time to locate it in the sky and, more concerning is that we have no idea where it took off from or even if the pilot has a certification to fly the drone. Imagine a bird, sea lion, or bear in the same situation. Not only is the unknown object noisy and they must waste precious energy searching for it, but upon finally locating the invading object, it may resemble a predator. 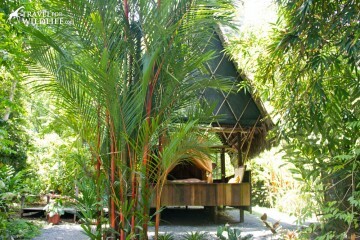 The second factor that may impact wildlife is design and color. 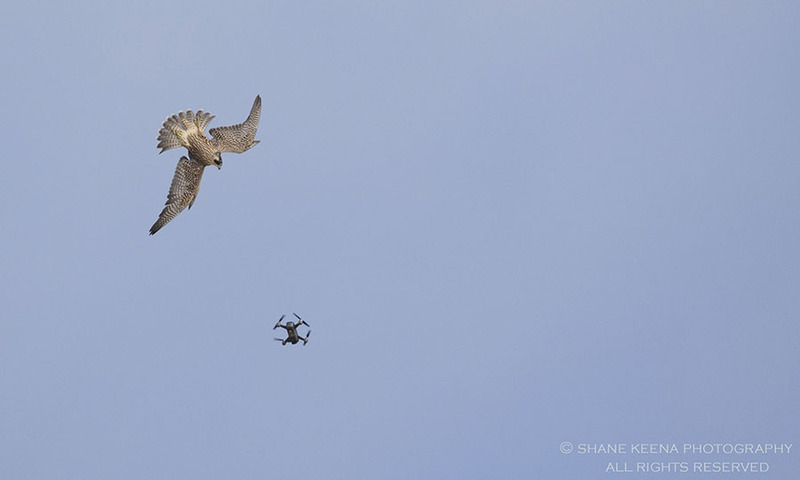 Animals that have aerial predators may be impacted by the color or wing design of a drone. Due to the lack of scientific evidence and to the many variations of avoidance or disturbance behavior of different species, there is not sufficient information at this time to say if a any specific drone color or design is a causal factor to wildlife disturbance. The third factor that may impact wildlife is altitude and approach. When flying low there may be more disturbance to an individual or group of animals than flying at a higher altitude. In some research permits, scientists describe their flight operations and include details about approach and altitude. Or in some instances a researcher may take off and gain altitude before approaching a focal species. The animal(s) may not be disturbed if the drone is flying high in the air, but perhaps they begin searching for the drone once it is flying at a lower altitude. Nesting birds, for instance, may be hiding their young from various terrestrial and aerial predators. If a drone approaches a nest, predators may be clever enough to be alerted to the nest’s location and prey upon the eggs or young. *It is important to note that in most countries there is a altitude height limit of 400 feet for all types of drone operations. The number one guideline you should adopt in a drone flight plan is to take the precautionary approach and avoid flying a drone in the vicinity of animals and always avoid flying directly over wildlife. The U.S. National Park Service has banned the use of drones at all parks. In some states, wildlife and nature parks, wildlife refuges, and sanctuaries have banned drones. At even a micro level, cities, counties, and local communities have banned drones. This causes confusion for many pilots who are looking to the primary aviation agency, the Federal Aviation Administration, to govern all airspace regulations. For a traveler, this becomes more complicated as different countries have different laws. Most national parks around the world do NOT allow the use of drones, and in some, like in the Kgalagadi Transfontier Park in South Africa, you must disclose you are carrying one and the national park authorities will seal it until you leave the park. In most countries, including the US, commercial drone flight activity planned for photogrammetry or videography of wildlife should be conducted under permit by the appropriate government agency. It is best to seek advice from wildlife experts to understand how an animal demonstrates disturbance or avoidance behavior, as well as which animals may be encountered in the desired flight area. Depending on the season, different animals may react with different responses. 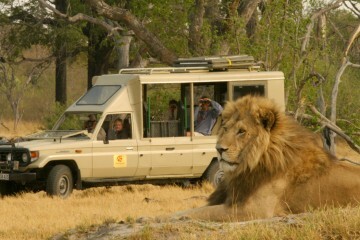 Before flying, get to know the area, the wildlife, and the experts. A pilot that expands his or her network also grows their knowledge and authority in a vast sea of newly emerging drone businesses. Some companies may feel compelled to use drone images of wildlife to attract clients. 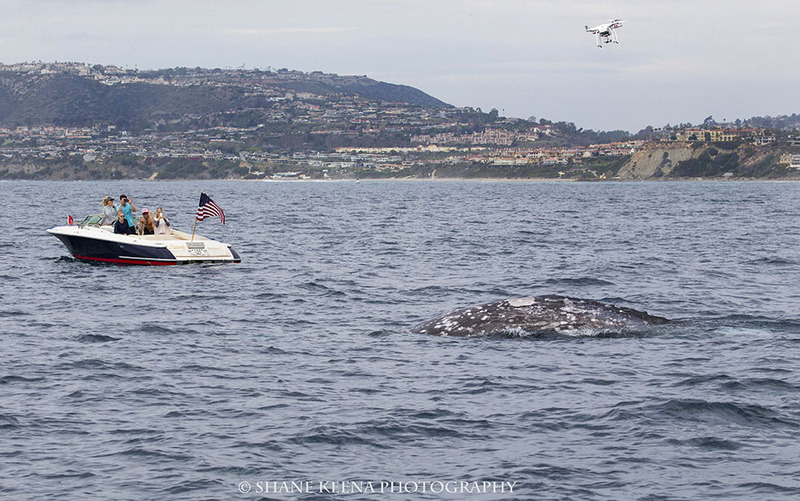 Whale-watching companies are increasingly using drones and they have been for years off the California coast. 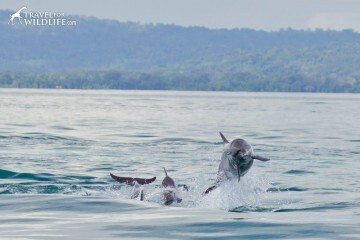 They are flying without a marine mammal research permit authorized by the National Oceanic and Atmospheric Administration (NOAA). Conservation researchers have to apply for permits to use drones over marine mammals and spend many hours filling out the paperwork which mandates they address every possible issue to mitigate risks of disturbance to all animals they may encounter. Researchers also fly under restrictions including attitude and approach, where a tourism operator or general drone pilot may not even be aware of their altitude and fly directly over an animal and at too low of altitude. Although many in the community say whales and dolphins do not show signs of disturbance, like the brown bear, how are we to know if an animal is stressed by a drone flight. To find out more about NOAA’s viewing guidelines click here. As you may imagine after digesting this last paragraph, yes there is a huge difference between the drone footage captured by a researcher and that of the everyday drone pilot. You might also come to the conclusion that those who use a drone as a tool to observe wildlife and make management decisions based upon scientific analysis may be disgruntled at the ease a non-scientific drone pilot experiences when they desire to launch a drone over wildlife. If you find yourself at this crossroad questioning if you should launch a drone or if you should find out more about the regulations before you take flight over wildlife we highly recommend that you follow the six steps in our STRIVE online course to conduct safe, ethical, and green flights. 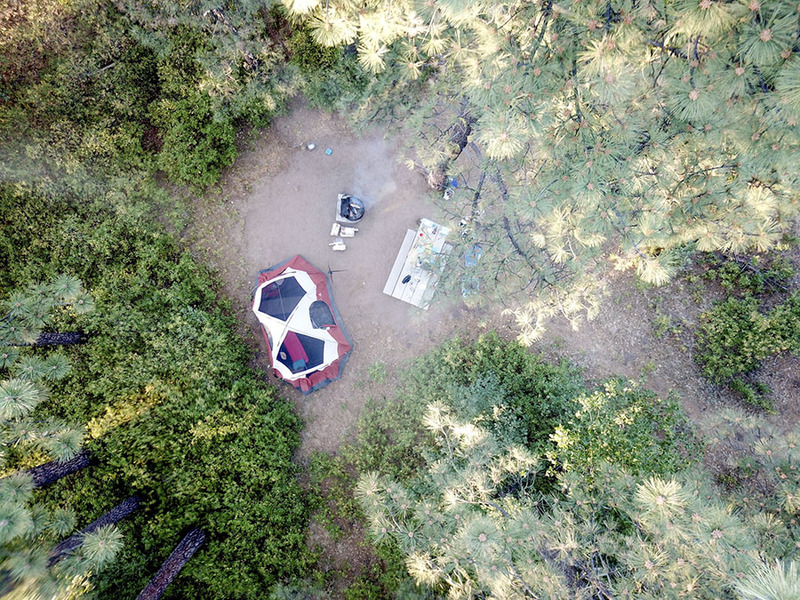 To learn more about reducing disturbance to wildlife Alimosphere has released “100 Lessons” to help drone pilots fly safe, ethical, and green around wildlife and humans. You can purchase the book on Amazon. And If you love trees, not to worry there is an e-book too. If you want to create your first flight plan (or your 100th) but are not sure how to get started, Alicia created a six-step process called “STRIVE” to help drone pilots build flight plans to benefit humanity and protect wildlife. You can enroll here. To answer questions and/or to design a flight plan for your business you can work directly with Alicia by booking a 60 or 90-minute strategy session where you walk away with a plan of action and and feel inspired. Alicia Amerson is a marine biologist, drone pilot, author, and entrepreneur. She works to protect wildlife from anthropogenic impacts and empower women with science, technology, and microadventures. She is the founder and CEO of Alimosphere, a small woman-owned business focused on reducing disturbance to wildlife caused by drones while promoting the use of drones for conservation research. She earned a BS in biology from Eastern New Mexico University. She worked for 13 years on environmental remediation projects at Los Alamos National Laboratory where she gained over 10,000 hours of project management experience and earned her PMP certificate. In 2015 she completed her Master’s degree in marine biodiversity and conservation from Scripps Institution of Oceanography (SIO). Her master’s research focused on whale-watching tourism and the use of guidelines or regulations in the industry along the entire Pacific coast in Canada, the U.S. and Mexico. 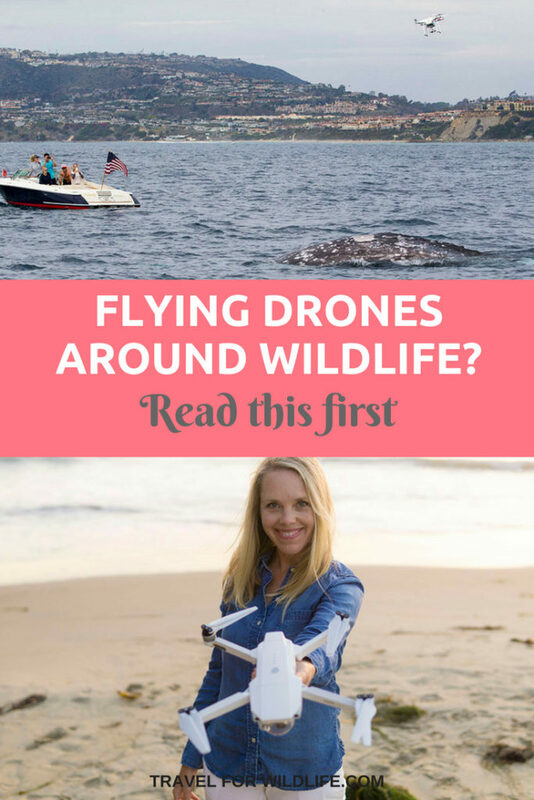 She loves to explore new applications for drones that will lead to benefits for marine wildlife and humanity. Thanks to Shane Keena for providing photos. Drones are amazing to capture photos and for rendering a great view but its effect on the wildlife should be checked.